We’ve recently helped several clients optimize their websites for mobile users, leveraging responsive web design. We recently developed responsive websites for several clients, including Avjet Corporation, the Global Aerospace SM4 safety site, Lone Mountain Aircraft, OGARAJETS, Cardinal Peak and NationAir Light Aircraft. 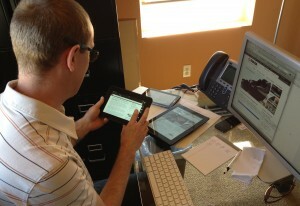 TCA’s web developer Josh Southern is shown testing mobile sites on several devices. 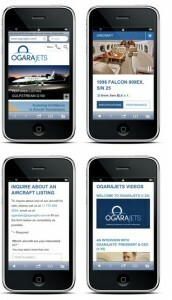 OGARAJETS’ mobile website, shown on a smartphone.